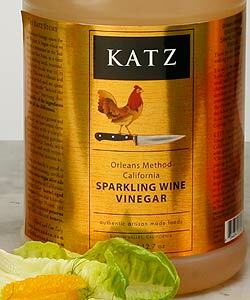 KATZ Sparkling Wine Vinegar, with its pristine clarity, is reflective of its California sparkling wine roots. It is made from 100% Suisun Valley, California Chardonnay. Get ready to prepare all kinds of dressings, marinades, sauces and seasonal relishes and pickles.